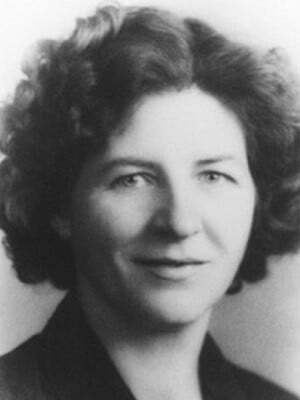 Isabel Myers (Isabel Briggs Myers; 18 October 1897 – 5 May 1980) was an American author and psychological theorist who created together with her mother the personality type test Myers Briggs Type Indicator. The tool is today one of the most widely used self-assessment tools. It is additionally within NLP referred to as basic metaprogram, a program that drives our behavior based on external factors and influence that ways in which we function in the world. Isabel Myers was born in the United States and grew up in Washington, D.C. She is the daughter of Katharine Briggs who first became interested in different personality types. Her father Lyman J. Briggs worked as a research physicist. As like as her mother, Isabel Myers was home-schooled by her mother before she went to college. Her mother had let her read and write about anything she was interested in before she went to Swarthmore College. During this period, Isabel Myers met her future husband, Clarence Chief who was studying law. The couple later married in 1918 and lived in Philadelphia together with their two children Peter Briggs Myer and Ann Myer Hughes. Unfortunately, Ann Myer Hughes did not survive a surgery in 1972. Isabel Myers’ mother recognized that Clarence Chief Myers personality was different than other people in the family, which consequently increased her interest to study different types of characters. Her mother started conduction research and made her own theories because she could not find relevant research which answered her questions. Isabel Myers’ mother later found Carl Jung’s book ‘Psychological Types’ which enabled Katharine Briggs to research more in-depth different personality types. Isabel Myer next got interested in a psychological test which was designed to match the type of work with personality characters. She additionally identified that the people she was surrounded by performed jobs they did not like. From this moment, Isabel Myers collaborated with her mother attempting to identify different personality types. Even though Isabel Myers’ mother already made her own theories, Isabel starts making hand-written questionnaires. She and her mother next continued the research, but Isabel made it also possible to collaborate with various stakeholders. Through her contacts, she got authorized by Edward N. Hay, an executive of a Philadelphia bank, to work with previous personnel tests to get familiarized with test constructions. She was additionally lucky because her father, now dean of the George Washington School, allowed her to provide the Myers Briggs Type Indicator to the first-year students of the school. She next gathered data from dozens of nursing schools of approximately 10.000 students. As a result of the samples at the nursing schools, the president of Educational Testing Service heard of the personality test. From this moment, it was permitted to evaluate the Myers Briggs Type Indicator for research purposes. The popularity of the test slowly increased, and by 1970, the Myers Briggs Type Indicator was more and more used and appreciated. Students of Michigan State University started to work with the personality test, and Isabel Myer could now meet the people who work with her self-assessment tool. In this period, Isabel Myers met Mary McCauley, a psychologist and later a member of the faculty of the University of Florida. Mary McCauley discovered the personality test in the Buros Mental Measurement Yearbook, a book designed to assist professionals in selecting and using standardized tests. She was fascinated by the instrument and immediately contacted Isabel Myers to establish collaboration for further research. Their goal was to test unpublished work and identify next steps for improvements on personality types. From this moment, Isabel Myers’ work started to raise more publicity. National Myers Briggs Type Indicator conferences were held at various universities, including the University of Florida in 1975, Michigan State University in 1977, and another university in Philadelphia in 1979. The Myers Briggs Type Indicator was now for the first time an officially available tool for helping people, provided by Consulting Psychologists, Inc. Isabel co-founded at the same time the Center for Applications of Psychological Type, a not-for-profit organization that maintains research and application of the Myers Briggs Type Indicator. Isabel Myers revised the instrument from 1975 to 1979 to create a simpler test, even though she faced health problems. She finalized her book ‘Gift Differing’ and remained actively dedicated to more publicize her research. She spent her life devoted to researching different personality types of which her mother Katharine Briggs provided the foundation for the research. Isabel Myers realized the vision of her mother by finalizing the research. The Myer Briggs Type Indicator is today translated into more than thirty languages and can, for example, be applied for personal development, improving communications, teambuilding, and reorganizations. Publications and Books by Isabel Myers et al.